Dental implants are one of the biggest and most significant advances in modern dentistry. For patients missing one, several or all of their teeth, this is an excellent alternative to dentures. 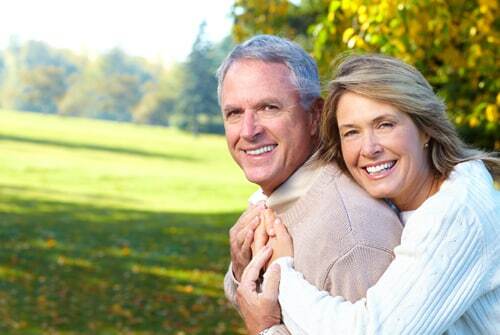 Dental implants provide patients with the comfort, appearance and function of natural teeth. Dr. Elmer will be able to determine if you are a candidate for implants by providing an evaluation of your teeth and jaw. Patients that are currently wearing dentures, have lost their teeth to gum disease and those patients who smoke have all been successful recipients of dental implants. Dental implants will require the same care as your natural teeth to maintain oral health after the implants are placed. The advantages dental implants have over dentures is that they allow patients to eat whatever they like as well as closely resembling natural teeth. To learn more about dental implants, contact our office for more information. Your consultation with Dr. Elmer will reveal the best options to restore your smile and your oral health.